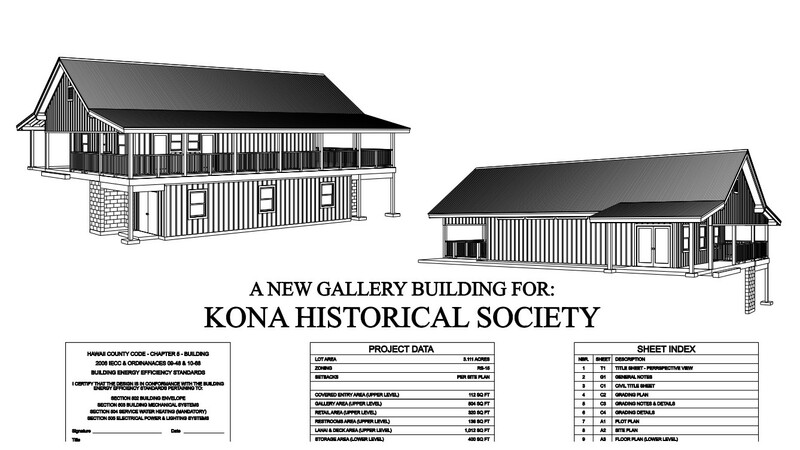 CAPTAIN COOK, Hawaiʻi - The Kona Historical Society says the new building will be a benefit to the South Kona area, which currently lacks community program and gallery space. (BIVN) – The Final Environmental Assessment, with a Finding of No Significant Impact, has been published for the Kona Historical Society’s new Kona Museum Gallery. 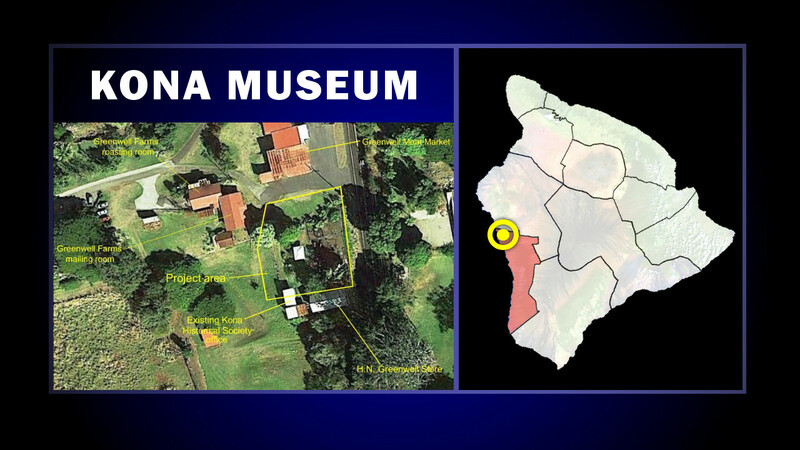 The Kona Historical Society is planning on constructing a two-story, 1,360 square-foot Gallery that will “blend into the historic landscape, resembling a 19th century Kana ranch structure but with a modern “white cube” interior for exhibits, cultural activities, and community space,” the documents says. The Kona Historical Society serves 60,000 patrons annually onsite and through outreach, and is responsible for the historic landmark H.N. Greenwell Historic Store Museum, the Portuguese Stone Bread Oven and the Kona Coffee Living History Farm. Students as well as members of the public are accustomed to going to art shows in hair salons and seeing historic photographic exhibits in church halls. There is a need for a professionally designed and adequately sized permanent space for these activities. The demand for this venue for West Hawai‘i has been clearly articulated and tracked by stakeholders and the community. The purpose of the project is to create a sustainable community center that can provide cultural, artistic, and public historical experiences to local and visiting students, residents, and guests. The value of such services will be immeasurably enhanced by its location within a site of recognized statewide and national historic significance, where KHS hosts weekly public programs, including some free-to-the-public programs, and provides green space in a park-like setting for community enjoyment. This capital project is intended to provide a vital service in the arts and humanities to enrich not only Kona but the entire Hawai‘i Island community. A new Individual Wastewater System and minor drainage facilities will be built, the EA says, adding that “the site is currently lawn with shrubs and low trees. Land disturbance will be limited to the project site through contractor orientation and orange fencing.” The project also includes paving the existing parking area to include 10 parking stalls, at least one of which will be ADA compliant. 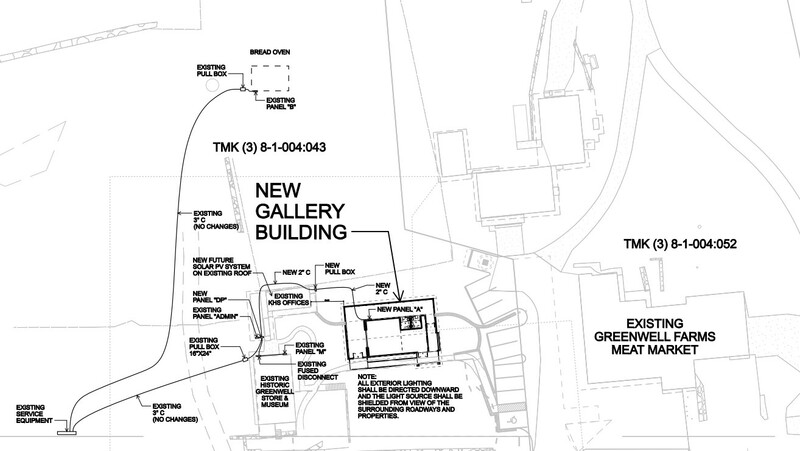 The new Kona Museum Gallery will be climate-controlled and “thus capable of hosting exhibits on loan from national and State museums, as well as featured exhibits from KHS’s rich collections,” the document says.